Receive 5% off your first order and 10% off your second and consecutive orders! This pattern can be used for cross stitching and rug making. 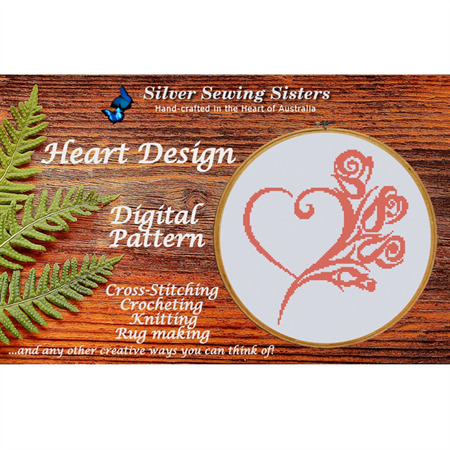 If you are an advanced crafter, you can also use this pattern for knitting or crocheting. Please see additional information below. This is a digital pattern. Material and threads are not included. The digital files will be emailed to you within 48 hours, often within 12 hours though, once payment has been processed. The actual size of the finished design will depend on the fabric, thread and craft type that you choose. Please refer to the table below and if your desired craft type is not listed, please contact me. Please note that these are the measurements of the design itself and do not include a border. I usually add approximately 10cm or 4” each side for a border. 10cmx10cm test square – 24 stitches by 30 rows – 4mm needle – 8ply yarn (single crochet stitches (American) or double crochet stitches (British)): 41.7cm x 35.3cm or 16.4” x 13.9"
PLEASE NOTE: Due to the fact that crochet stitches and knitting stitches are not square (but more wide than high), the proportions of the finished piece will be different to the image shown above. It will be more wide and less high (obviously!). Please refer to the sizing table above. If you have any questions, please contact me before purchasing. 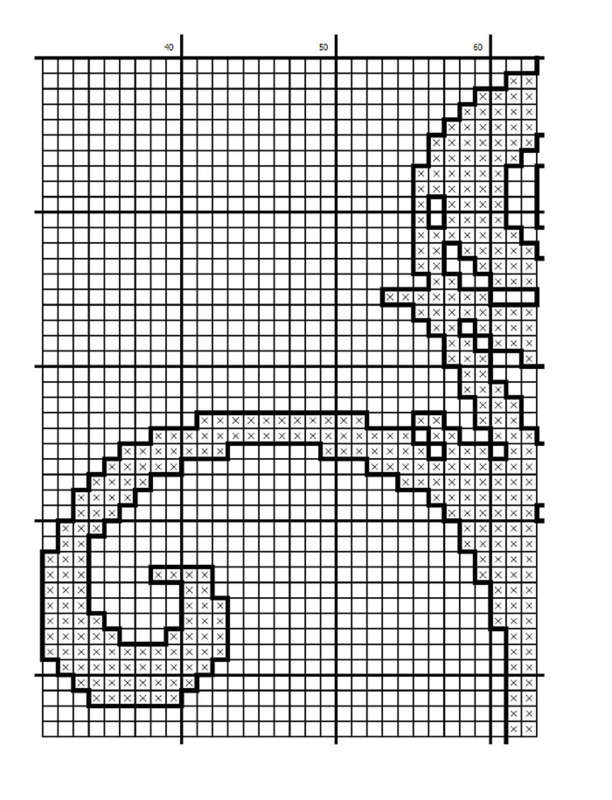 ADDITIONAL NOTE (for advanced knitters and crocheters): If you can manage to knit or crochet a test square with the same amount of stitches to the same amount of rows, your finished piece will look like the image above. 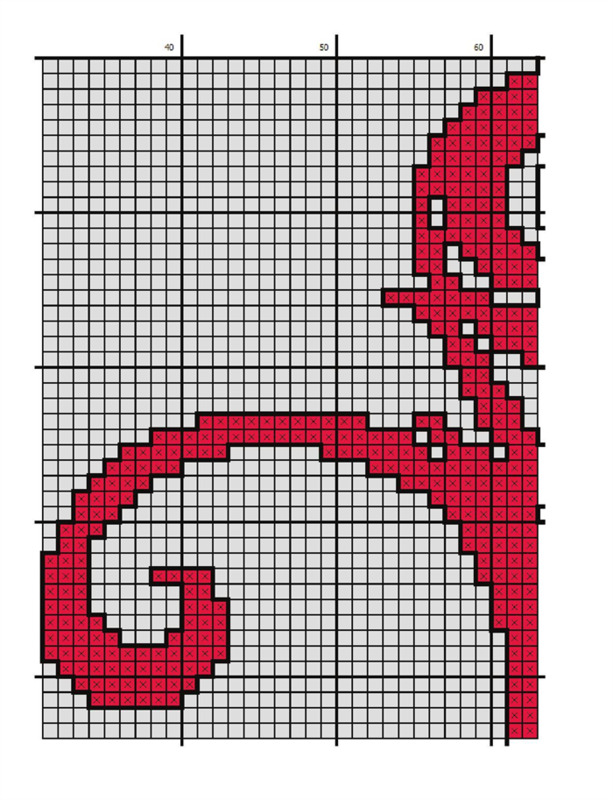 This is a link to a website where you can calculate fabric use and design size when cross-stitching: http://yarntree.com/java/xstitchcal.htm . Please also keep in mind to purchase more fabric for the border around the design as well as for finishing the project, i.e. in a frame. - You may use this pattern to make personal items and gifts. - You may also use this pattern to make items for sale. But please give credit to the digitizer. - This pattern (or any parts of it) in its original digital format may not be sold, shared, traded or distributed in any way. It takes many hours to digitize patterns. Thank you for respecting this. Add this store to your favourites, so you can be notified of new products.